Getting rid of old electronics devices is somehow complicated in Switzerland, you could theoretically bring them back to the store, but this assumes that said store still exists, and is nearby. If you do not have a car, your definition of nearby gets pretty restricted. The way the e-tram was transformed is pretty radical, the pointy nose was removed (the trams served as snowploughs) and recycled materials are loaded on a cargo wagon. 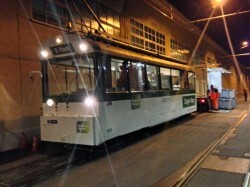 Both e-tram and cargo-tram were put into service in 2003, and for the tenth anniversary of the service, they were repainted green instead of the standard blue livery of Zürich. 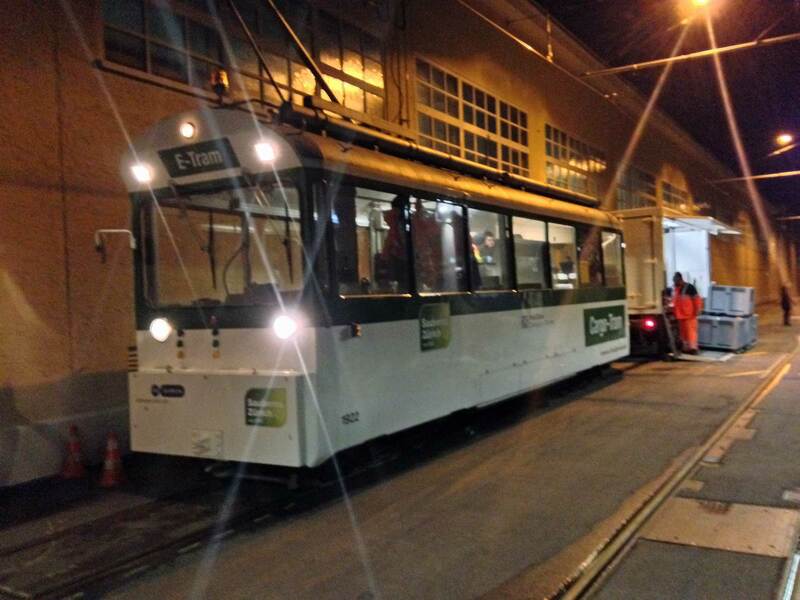 This entry was posted in English, General, Zürich and tagged Tramway, Zürich, ♻. Very cool service. We don’t have anything similar in Geneva although, to be honest, recycling points for bulky items are somehow common.